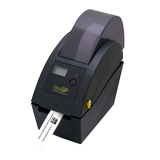 Improve the efficiency of employee time and attendance tracking with the WaspTime Barcode solution. Designed to eliminate costly payroll errors associated with manual time and attendance tracking, the WaspTime Barcode solution automates the process using barcode technology. 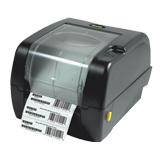 The WaspTime Barcode solution provides accurate, reliable time and attendance tracking at an affordable price. WaspTime is a time and attendance system designed to automate employee time and attendance for small to medium-sized businesses. 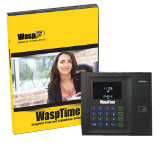 Featuring an intuitive, easy-to-use interface, WaspTime dramatically reduces the number of hours required to process employee time and attendance. WaspTime is scalable to grow with your business – choose from Standard, Professional, or Enterprise editions to meet your time tracking needs. 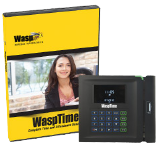 WaspTime is ideal for a wide range of industries where hourly and salaried employee time is tracked, including manufacturing, warehouse & distribution, healthcare, retail, professional and medical offices, government, and educational agencies. WaspTime software gives you control over lost time and productivity, which can have a significant impact on your company’s profitability. A study by the APA (American Payroll Association) shows that by adopting an automated time and attendance system, companies can save up to 4% of annual payroll expense.